The university banned the student verenigingen (fraternities) from the beginning: the board was afraid of problems with keeping order and that they would tarnish the good name of the university. It was, however, impossible to stop students forming secret societies such as the national colleges composed of students who came from the same region. The ‘nations’ of Hollandica (for students from the province of Holland), Geldrica (Gelderland) and Transisalana (Overijssel), were founded in the early years of the university and were notorious for press-ganging students into joining their societies and also forcing them to pay membership fees. An ‘Ommelander’ fraternity, representing the region around the city of Groningen, was founded in 1645 to stimulate the fun part of student life and a feeling of togetherness. The organising of massive drinking parties and ‘battles’ with the other fraternities achieved these goals. New students were the targets of all these fraternities due to the membership fee and once they joined a fraternity they were forced to undergo the ritual of hazing, which could be both dangerous and humiliating. The board attempted to stop hazing by banning students from taking part in the various lessons, eating in the refectory and through withholding bursaries, but it proved difficult to sanction the students as their societies were secret. Students became less interested in these national colleges towards the end of the seventeenth century and they were eventually closed. New groups dedicated to the hazing of new students came to life in the eighteenth century and survived despite attempts to ban them by the university. It took until the bicentennial celebrations of the university in 1814 for the board to tolerate a student fraternity. 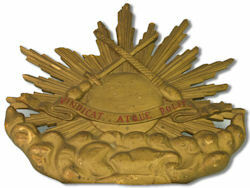 Vindicat Atque Polit was thus founded on 4 February 1815 as a fraternity to look after the interests of all students and also to stimulate and organise hazing. Most of the then 400 students of the university joined this fraternity. It took 200 years of secret societies and hazing before the university board tolerated such a fraternity but this was under protest about the structure of the Vindicat board, which mirrored that of the university. It still took another few years, until 1849, before the fraternity was actually officially recognised. From left to right: Frisia fraternity on Sinterklaas night, 1900; rowing club Aegir, 1886; Ice skaters. Clubs were formed within the fraternity along similar lines to the national colleges of previous years based on the region members came from, these included Frisia, Groningana and Omlandia. The fraternity also became a place for sports and other activities such as acting, debating, driving, fencing, ice-skating, and rowing during the 19th century. Theatre and music were performed in the Harmonie building, often with a ball afterward. In 1896 a debating club founded Albertus Magnus, a Roman Catholic student fraternity, swiftly followed by the founding of VERA for students of a reformed-church background. The amount of women studying at university increased from 1871 and they formed a walking club, but wished to be associated with a fraternity. Their attempts to become part of Vindicat were rejected so they formed their own, female-only fraternity, Magna Pete, in 1898. The period after World War II saw many changes to the traditional structure of student fraternity life with debating clubs and the sport and culture clubs. Many students chose not to become members and were known as nihilists. The years 1968-1972 formed an important turning point in fraternity life as Dutch society underwent many changes such as secularisation and an increase in democracy. This, in turn, influenced the university structure and student life. Some fraternities closed, while others merged with each other, while still other fraternities became youth centres. Student unions campaigned for better financial support for students and better housing and gained many members. The university took on the role of providing for the protection of student interests and relaxation. Every student was allowed eat at the refectory, make use of the sports centres (ACLO) the cultural centre (USVA) and the society protecting housing rights for students (SSH) and membership of a fraternity was no longer needed to access such facilities. Traditional fraternity life made reappearance in the 1980s when numbers of students joining started to increase again after a long downward spiral. Organised student life has changed drastically in the last two hundred years and membership of a fraternity is nowadays often used to make friends. The city itself provides many more opportunities for relaxing away from the lecture theatre. Only 25% of the 23,000 university students are members of a fraternity these days, when previously practically every student was. The most important fraternities are: Vindicat, Albertus, Bernlef, Cleopatra, Dionysos, Dizkartes and Unitas. Last modified: 02 October 2015 11.00 p.m.